The National Wildlife Federation will honor Alyssa Milano, Anderson Cooper, Lawrence Bender and Howard Ruby at its Voices For Wildlife Gala in Los Angeles tonight, June 15. As the National Wildlife Federation continues to celebrate its 75th anniversary this year, the organization will honor four individuals committed to protecting wildlife during its “Voices For Wildlife” gala, to be held at the Beverly Wilshire Four Seasons Hotel. “We are proud to honor Lawrence, Anderson, Alyssa and Howard, all of whom have devoted their energy and time toward making our planet a habitable place for all species,” stated Larry Schweiger, president of the National Wildlife Federation. Emceed by comedienne Annabelle Gurwitch and featuring special guest and world-renowned animal expert Jack Hanna, the evening will highlight the tremendous achievements of the organization over 75 years and spotlight this year’s extraordinary honorees. Guests will enjoy cocktails, dinner, an awards ceremony and the opportunity to engage one-on-one with some of the most beloved wildlife that National Wildlife Federation works to protect. Anderson Cooper: As anchor of the highly rated CNN nightly newscast “Anderson Cooper 360,” Anderson Cooper regularly covers the major news events around the world, often reporting from the scene, most recently covering the uprising in Egypt, the aftermath of earthquakes in Japan and Haiti, and from the Gulf Coast after the BP oil spill. During most of 2007 and 2008, Cooper traveled the world for “Planet in Peril,” a documentary about issues threatening the planet, its inhabitants and its natural resources. Cooper and his CNN program have won several major journalism awards, including multiple Emmys. 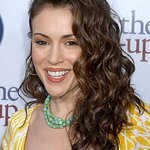 Alyssa Milano: A popular, award-winning actress, Alyssa Milano began her career at age seven, on the road for 18 months in the first national tour of Annie. In 1983, at ten, she landed her first major television role on the comedy “Who’s the Boss?” playing Tony Danza’s saccharine-sweet daughter, Samantha. Since then Milano starred in and produced eight seasons of the WB series “Charmed,” also appearing in two seasons of “Melrose Place” and “My Name Is Earl” as well as such feature films as Hall Pass. A longtime animal rights activist and environmentalist, Milano has supported numerous organizations and served as an ambassador for UNICEF. Lawrence Bender: Best-known within the environmental community as producer of the Academy Award-winning documentary An Inconvenient Truth, Lawrence Bender has produced films that have been honored with 29 Oscar Nominations including 3 for Best Picture and won 6. His projects include Good Will Hunting and nearly all of Quentin Tarantino’s films including Inglorious Basterds, Pulp Fiction, Reservoir Dogs, Jackie Brown and Kill Bill. In the realm of philanthropy he has created “18 Seconds,” a campaign in tandem with the EPA and Department of Energy to raise public awareness and create solutions to global warming. Howard Ruby: Founder, chairman and CEO of the multi-billion-dollar real estate company Oakwood Worldwide, Howard Ruby is also an acclaimed nature photographer who has traveled the world visiting dozens of countries and remote locations. After numerous trips to the Arctic to photograph the area and its indigenous polar bears, and after seeing the effects of global warming first-hand, he was moved to use his photos to help develop an educational outreach program with National Wildlife Federation. Ruby was chosen as 2007 International Conservation Photographer of the Year, and his images were featured in the Smithsonian’s Natural History Museum.